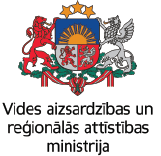 The Managing Authority of the Interreg V-A Latvia-Lithuania cross border cooperation 2014-2020 programme 2014-2020 (hereinafter – Programme) is pleased to inform you that the third call is now open and it is possible to submit project application to three Programme’s priorities and their specific objectives. For a detailed description of content of Programme specific objectives, including information on possible supported actions for financing, beneficiaries and target groups and detailed conditions for the third call applicants’ can be found in the “Applicant pack third call”, which constitutes an integral part of this call announcement and is available for download from the Programme website www.latlit.eu. 3) NGOs – within the framework of the Programme NGO means legal body established for the specific purpose of meeting the needs for the general interest and not having an industrial or commercial character and having legal personality. Exception note: Long term care providing institutions are not eligible project partners. The overall objective of the Programme is to contribute to the sustainable and cohesive socio-economic development of the Programme regions by helping to make them more competitive and attractive for living, working and visiting. The Programme will pursue its overall objective through the financial support granted to cross border cooperation projects contributing to its specific objectives. The available Programme co-financing from the European Regional Development Fund (hereinafter – ERDF) for the third call provisionally amounts to EUR 19,2 million and will be allocated to projects contributing to the Programme objectives. Please see information about the provisionally available funding under priority’s specific objectives which are open for call in Attachment No 1. Upon completion of the assessment, the submitted applications will be ranked separately according to Programme priorities and scores. The final allocation for the projects financed during the third call for proposals is a subject to further decisions of the Programme Monitoring Committee and Managing Authority. Project partners have to provide own contribution to receive Programme co-financing. Under the Programme, the eligible project activities are co-financed by the ERDF at a rate of 85%. The project implementation shall not be longer than 24 months. According to the provisional calendar planned for the third call, the approval of the projects is foreseen at the latest in 1st quarter 2020. Applicants are invited to establish as starting date for their projects: May – June 2020. The earliest date when the project activities may start and the expenditure may incur is the next day after the project is approved by the Monitoring Committee. The third call for proposals will be open from 9 April 2019 until 9 July 2019 at 12:00 (noon) (EEST) and will follow a single step procedure, i.e. full information on the scope, objectives, activities, budget, partnership and supporting documents should be submitted by the indicated deadline. Project applications must be completed in English language and submitted only through the web-based electronic monitoring system (eMS). Lead partner of the project should be registered in the eMS system to be able to create and submit valid application form. The system will be open from 9 April 2019 and project application has to be submitted within the period of duration of the open call – from 9 April, 2019 until 9 July, 2019 at 12:00 (noon) (EEST). Requests for information can be addressed to the Joint Secretariat: latlit@varam.gov.lv, +371 670 269 37 or + 371 26424272 (mobile phone). Informative seminars will be organised to potential applicants in May 2019. For more information about the Programme events, please see: www.latlit.eu. *Please note that the available ERDF funding per specific objective is indicative and can be changed.